I don’t know what year Stella Moore Jayne was born, but I do know that she died of tuberculosis in 1924…just 16 years after giving birth to my grandmother, Edith Jayne. Her husband, William Jayne, died just a few months later in an auto accident, leaving Edith–or Dede, as she was called–an orphan. 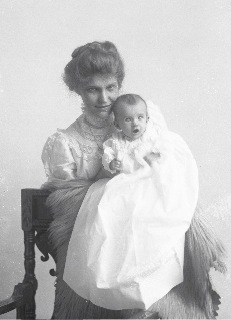 Stella Moore Jayne with baby Edith, 1908. Dede Jayne Smith, my grandmother, was born in 1908. Unlike her parents, she lived to old age–to an incredible old age, in fact: 103 and a half. She died peacefully in 2012. Why is this important to anyone but me and my family? It isn’t. And yet I made sure that a young friend of mine, who’s planning a wedding next fall, knew these details, because she will be using parts of both Stella’s and Dede’s wedding dresses to decorate her own. 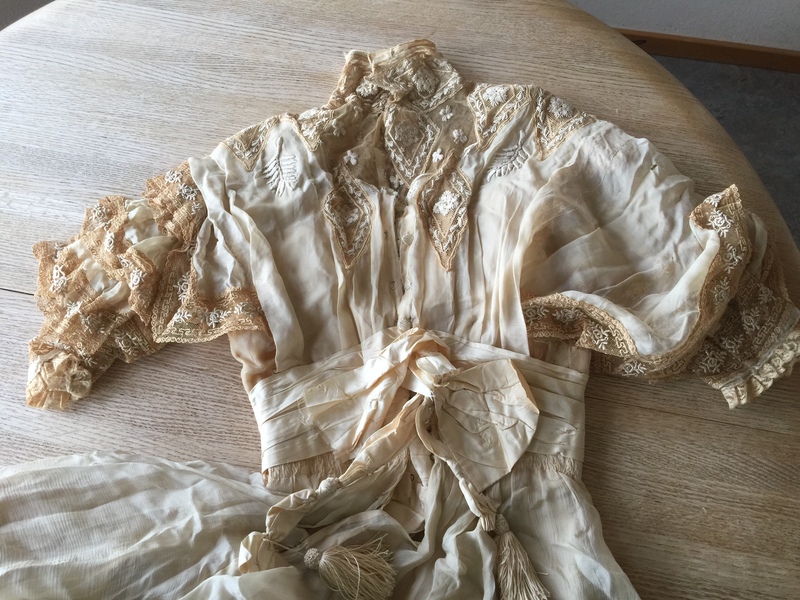 Because I was the granddaughter who most enjoyed playing “dress-up,” Grandma Dede bequeathed these precious dresses, and other antique clothing, to me. But they were already falling apart by then, the delicate silk of bodice and skirt literally dissolving into sparkling flakes and filling the air with fairy dust. 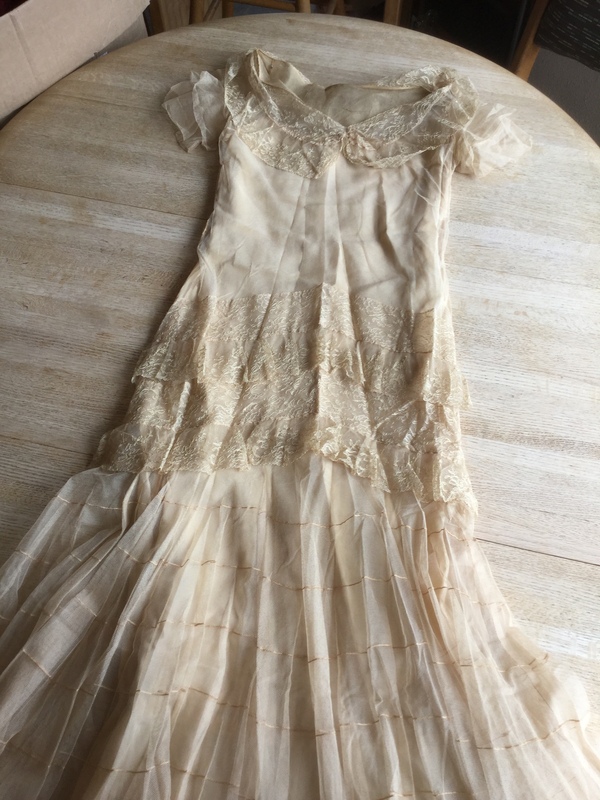 Great-grandma Stella’s dress was probably made around 1904. Grandma Dede’s dates from the late 20s, probably 1929–the year of the Crash. You can definitely see a nod to flapper style. Somewhere I have a picture of me in this dress, but it would come apart if I tried it now. So the dresses are shot. But the lace? It might be more beautiful than ever. Just look at that detail. Grandma Dede said it was made by French nuns. Can we get a close-up? All antiques are special, but some are more special than others. 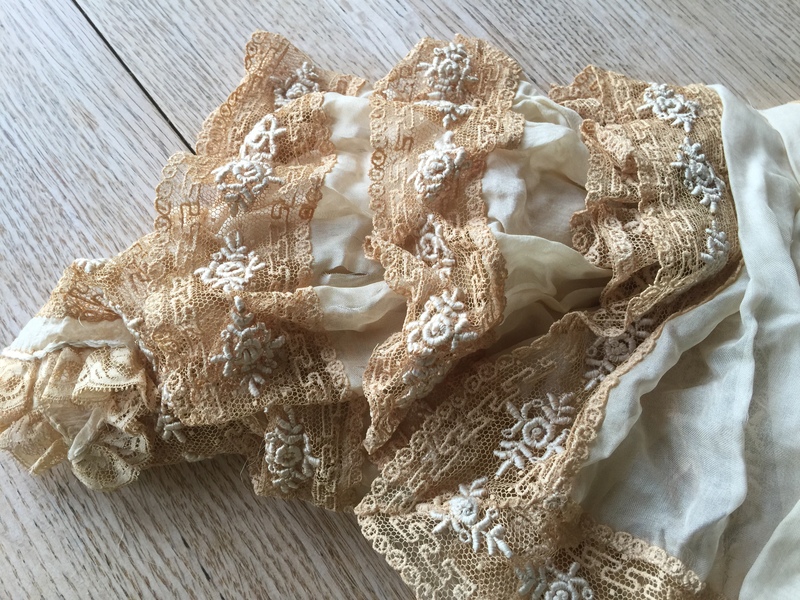 Antique clothing is more intimate than anything I can think of that lasts down the years: not only is it worn next to the skin, it absorbs the body’s sweat and smells. There’s a reason clothes are the hardest thing to part with after a loved one’s death. Couldn’t resist including this one. 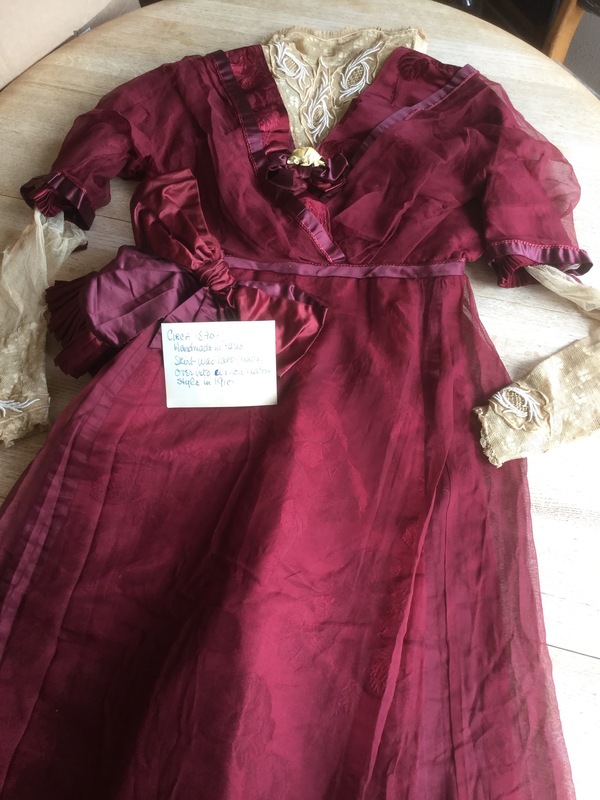 The card says “Made in 1890.” The rose on the bodice is carved of ivory. Can you imagine the corset it would have taken to get into this? So, because I can neither preserve nor wear them, I decided to up-cycle these dresses. But NOT anonymously. I am beyond thrilled that Stella’s and Dede’s lace will live on in another wedding. I like to think of them as a blessing passed down from a century of womanhood. And I hope and trust that the new bride will remember their story as she sews it into her own. 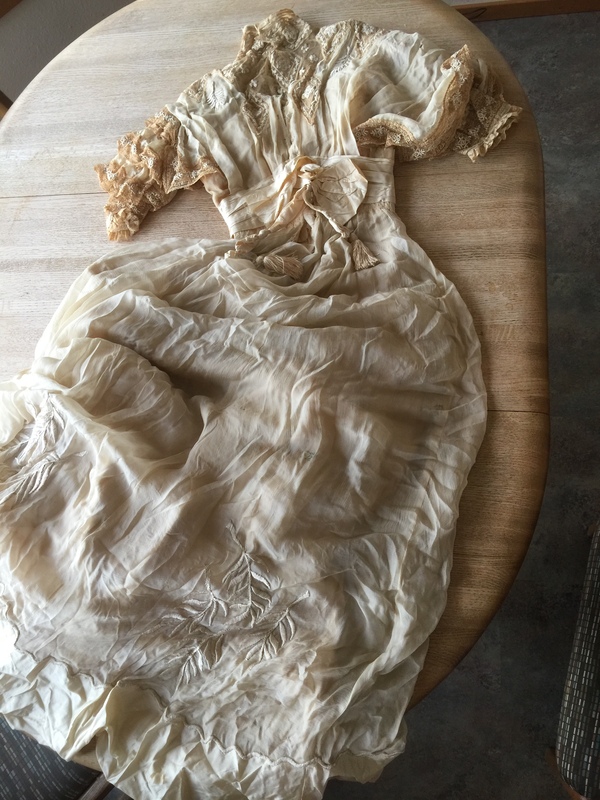 This entry was posted in Wing's Words and tagged antiquelace, familyheirloom, sewing, silk, upcycling, wedding gown by gretchenwing. Bookmark the permalink. This post tickled the historian in me, Gretchen. Old artifacts and especially old pictures stir my imagination. There are real stories behind them. I love that you’re repurposing the lace. I’m sure it would make both Stella and Edith smile to know that in a small way their lives are still touching others. I like to think so too. Thanks, Michelle…you’re a kindred spirit.